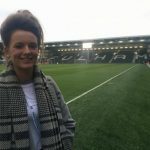 Injury ended Chloe Ward’s dream of becoming a professional footballer, but she was determined to channel her love of sport in a new direction. The 23-year-old became a PE teacher and her passion now is to encourage children to play sport – and keep playing as they head towards adulthood. Ward had spells at Stevenage Football Academy and Arsenal Ladies FC in her teenage years and says her aim was to work her way up from grassroots into elite football. But at the age of 16, she suffered a collapsed metatarsal in her right foot, and needed surgery to insert pins and plates to repair the damage. She continued to play football but was injured off and on for the next two seasons. 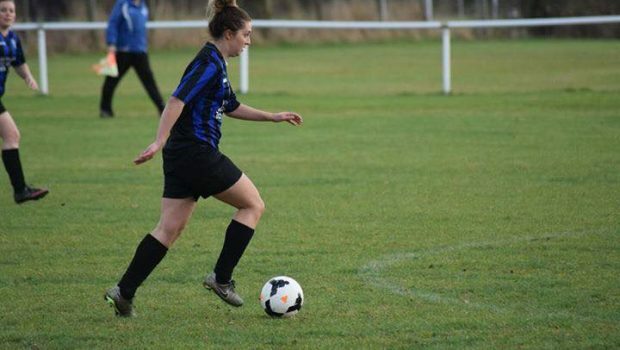 Seven years on, Ward has come to terms with the reality of not being able to achieve her childhood dream, and has recently started to play football again for Letchworth Eagles Ladies as a centre forward. She changed her focus and studied to become a PE teacher at secondary school level, and currently works at The Chalk Hills Academy in Luton, teaching between 18-22 hours of physical education per week as well as teaching PHSCE. “In a culturally diverse area such as Luton, trying to get to know your students and building a trusting and professional relationship is essential to inspiring them,” Ward said. Ward has been teaching for two years and learnt that showing a teacher is passionate and believe in their lessons will inspire and motivate pupils. She feels it’s her responsibility to inject passion into her sessions and has realised being a respected teacher will persuade students to engage with you. Since Ward has been at the school, they have begun extra-curricular sessions on Tuesdays in which Luton Town players and staff come in and work with the children as well as giving tickets for matches. “The participation level has risen from three students to an excess of 25 in every session, where they can compete against other schools,” she said. Chloe has also helped develop a 16-year-old pupil into being the second-fastest 100m sprinter in his age group in the country, by putting him through competitions for the school. The school’s teachers also go and support the student at his races to help motivate and encourage him. This in turn inspires other students to work towards competing at the highest-possible level, improving their confidence and self-esteem.